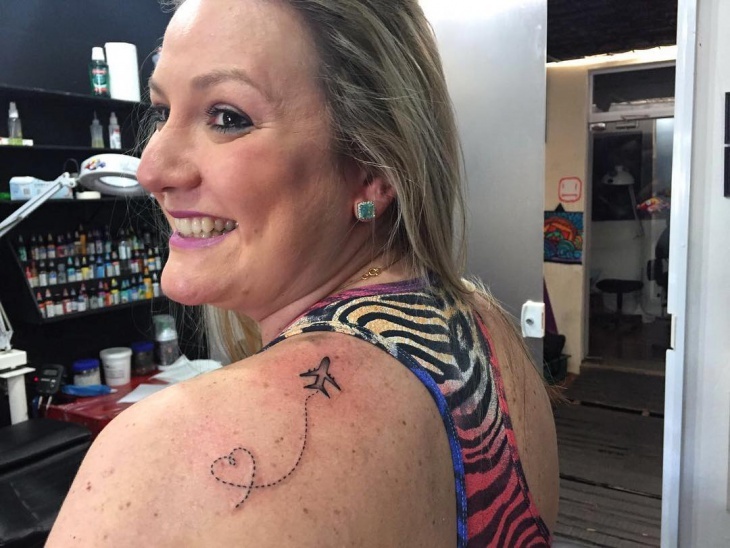 Women who love traveling can have the airplane tattoo. 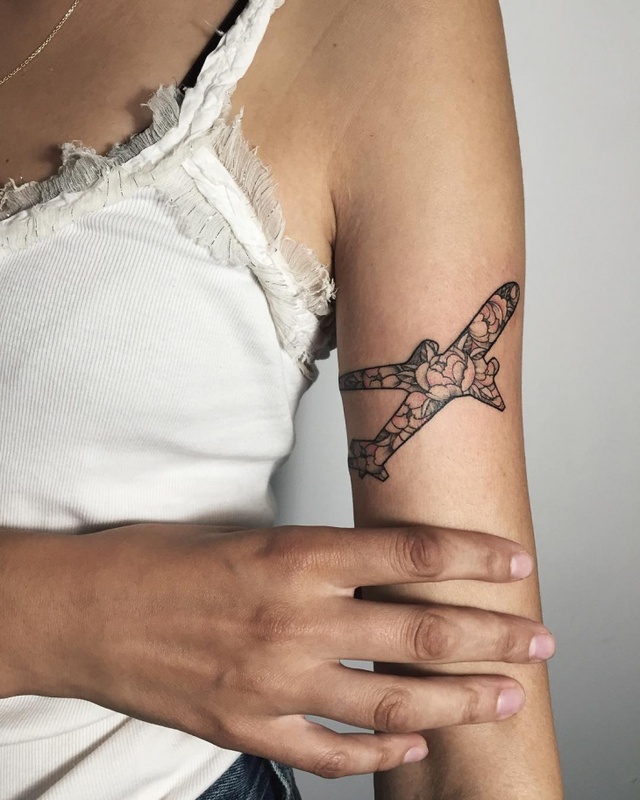 You can either get the airplane motif or the paper plane design combined with other motifs. These are tiny tattoos that you would find in vector art. They are in black color or sometimes drawn in vibrant colors. They look good on anyone. 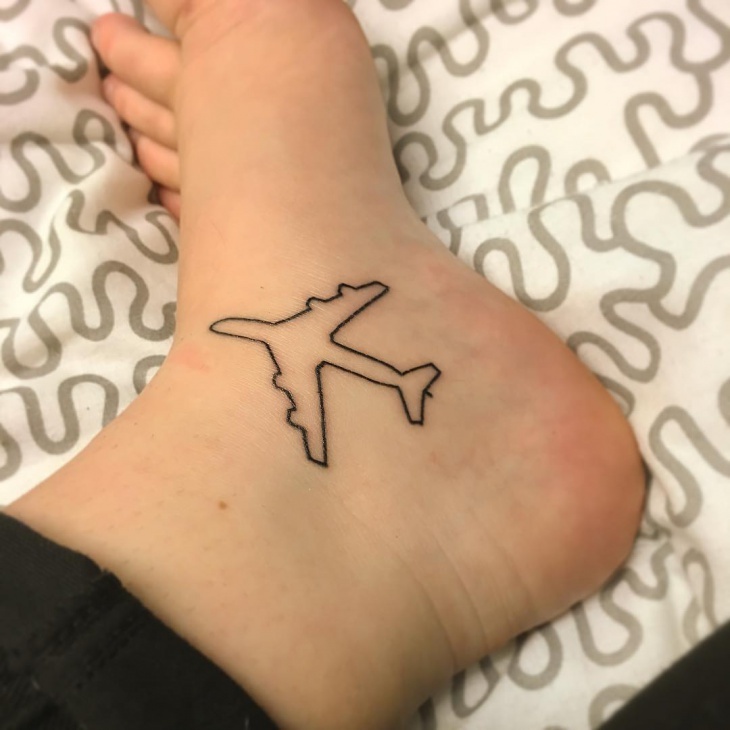 They are simple tattoos that show love for travel. You can also get a real airplane motif that is elaborate on the back. You can also combine this tattoo with the mandala tattoo. 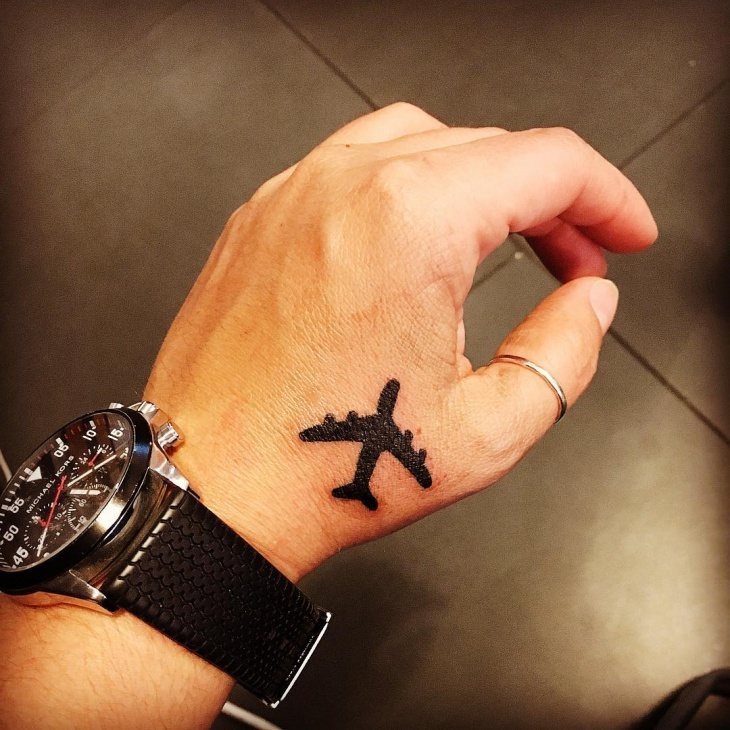 A tiny airplane tattoo that is drawn on the wrist looks good on anyone. You don’t have to worry about the kind of accessories that go well with these tattoos. 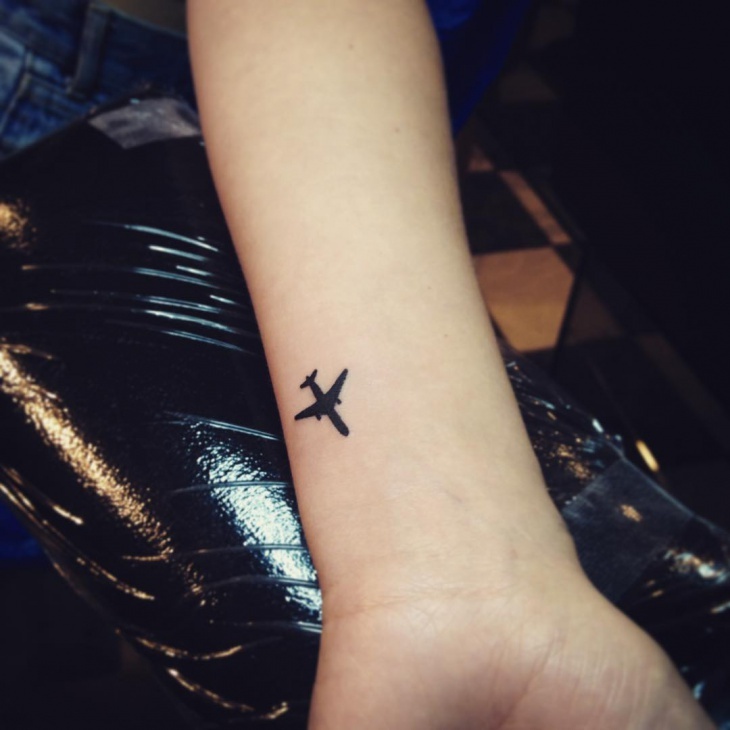 This is a simple and a cute tattoo for women who have a love for travel and adventure. 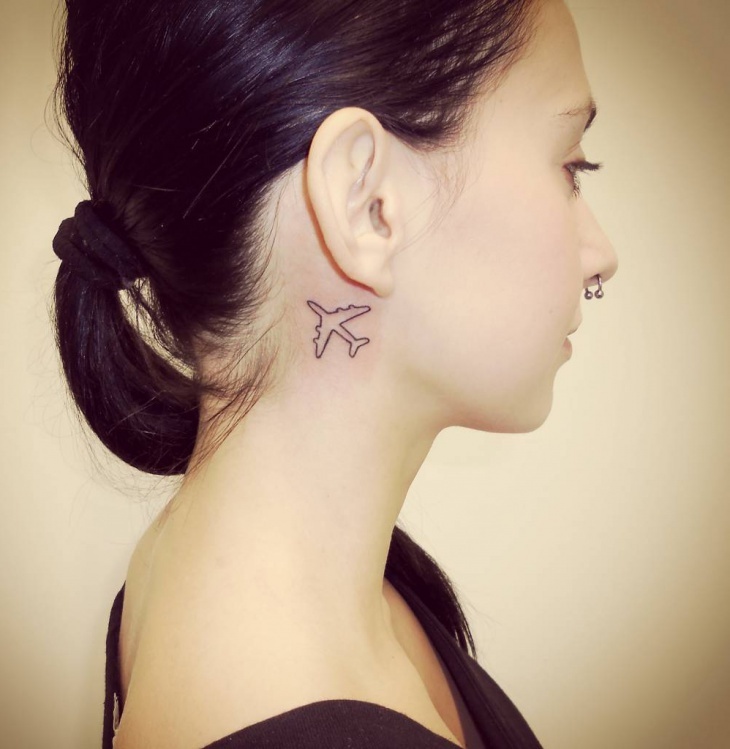 You can also get a simple motif of an airplane with no filling behind the ear. 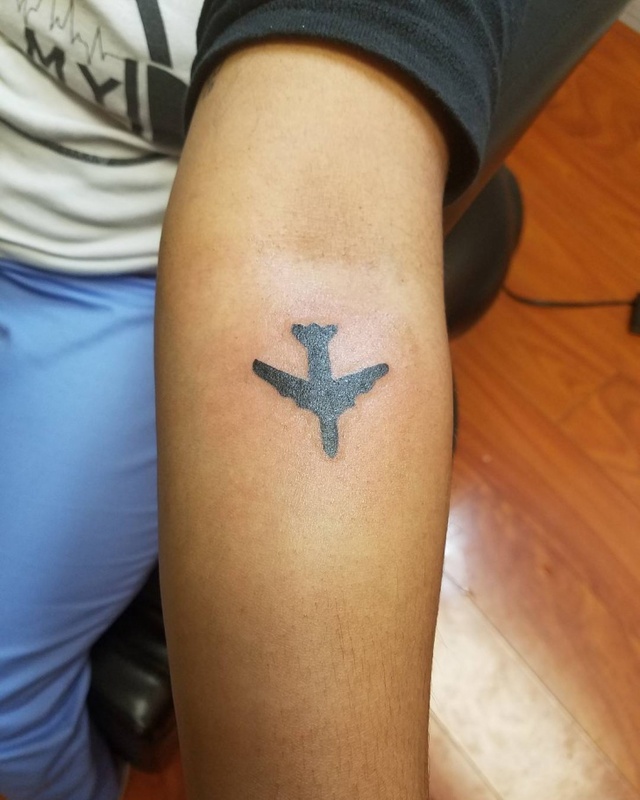 This is a simple tattoo that only outlines the motif of an airplane. Women who are interested in getting a tattoo but do not want something elaborate can go for this tattoo. 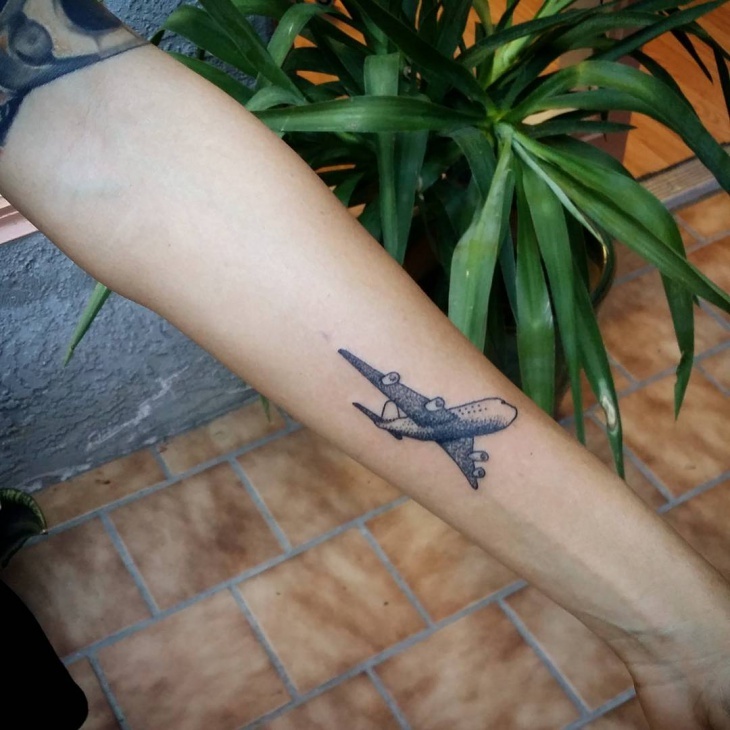 This is tattoo has the outline of the airplane and filling of floral motif inside the design of this airplane. It is drawn on the arm and looks good on women of any contour. Whether you have heavier arms or slender arms, these tattoos look good. 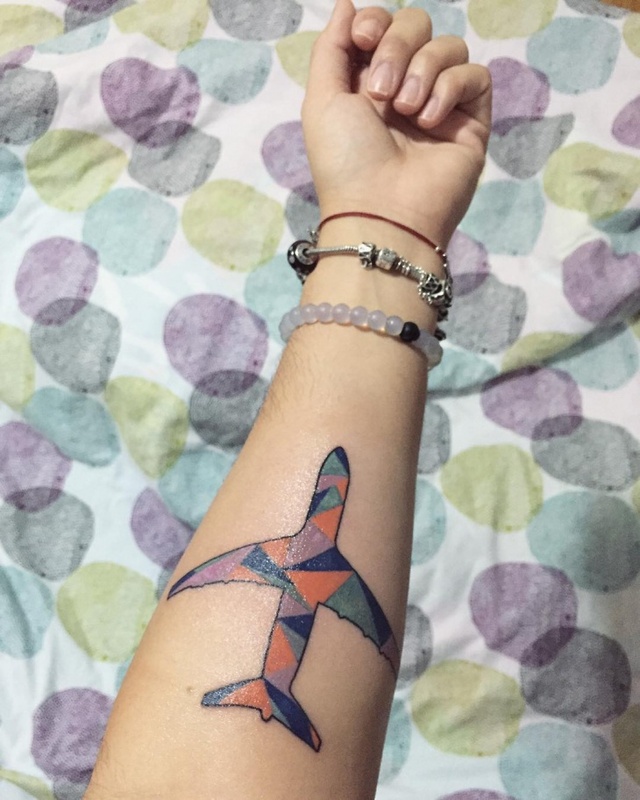 You don’t need a passport to get this motif of an airplane for a tattoo. Men and women can wear this tattoo. 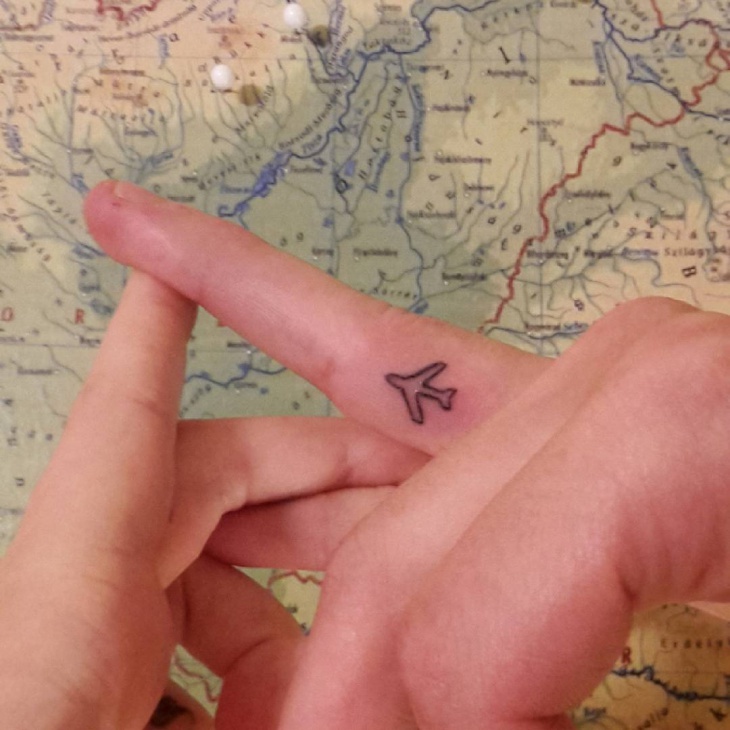 Get a tiny motif of the airplane on the finger without any filling of color. 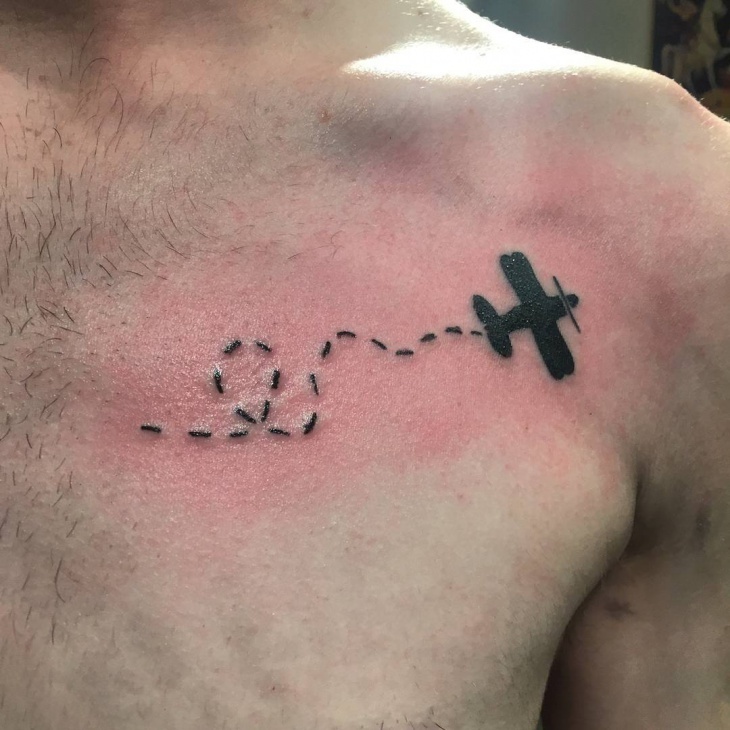 This is a simple tattoo. The finger is a unique choice to place a tattoo. 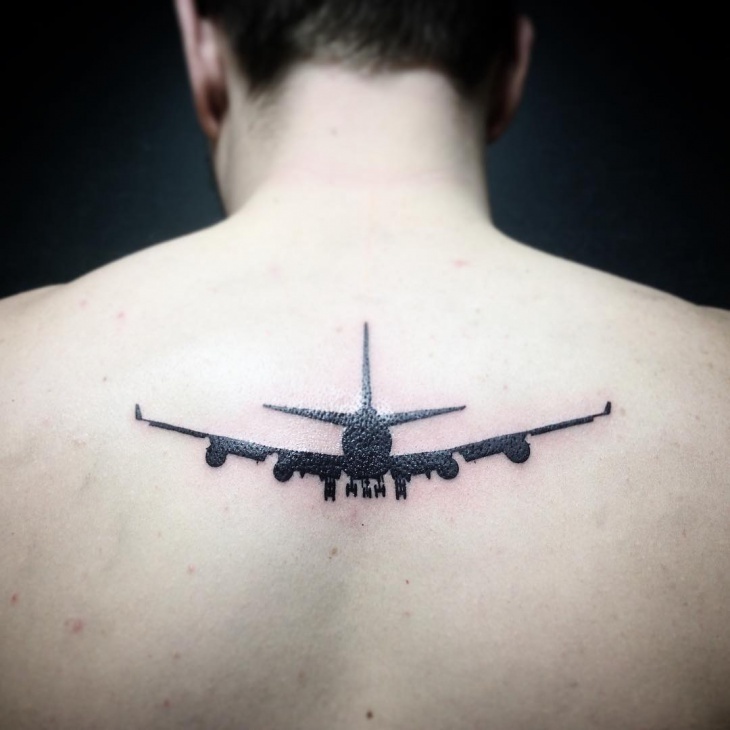 You can also get this tattoo if you work at the airport. Don’t you just love paper planes? 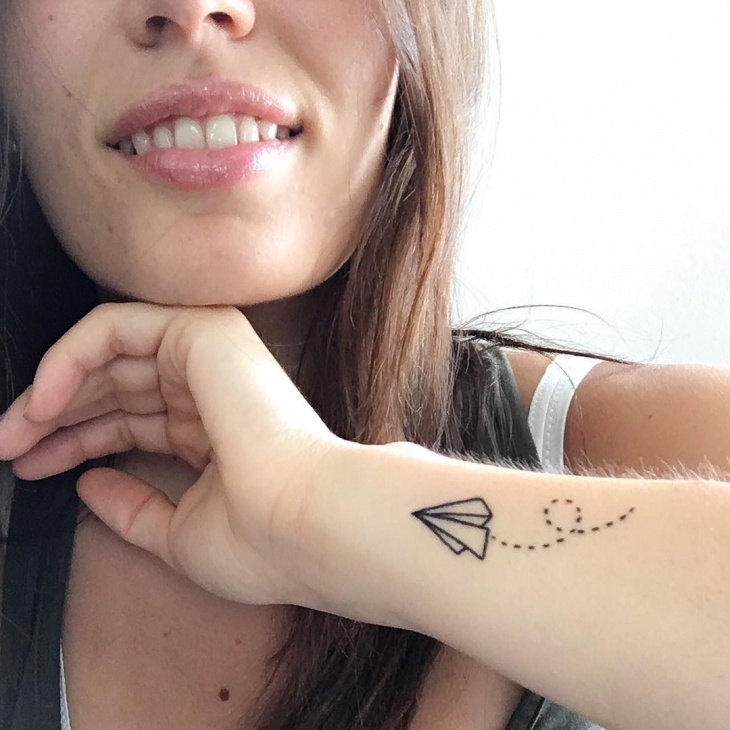 You can use these paper plane designs and fill them with elaborate motifs. You can wear these tattoos on any part of the body. 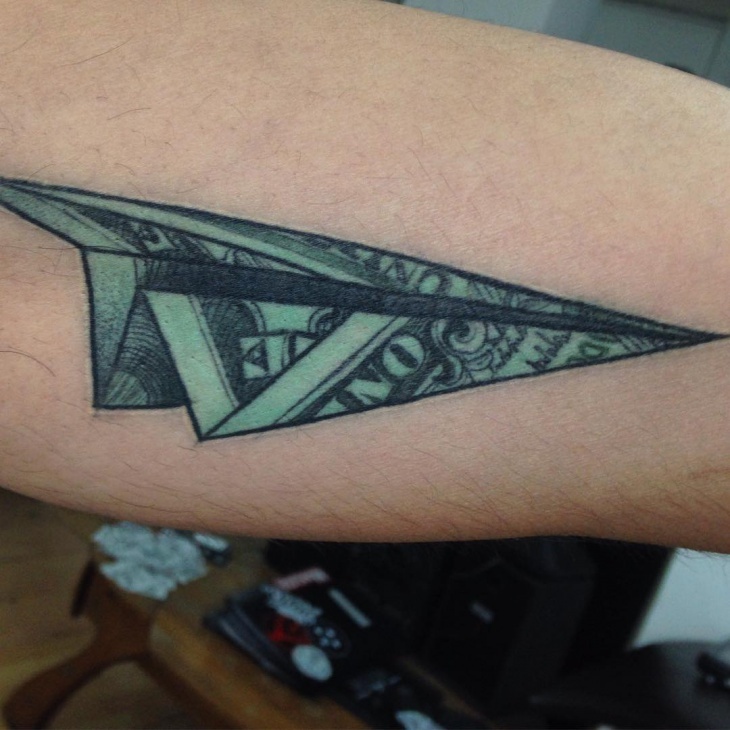 This tattoo looks like the paper plane is made from a fabric. Men and women can wear this tattoo. 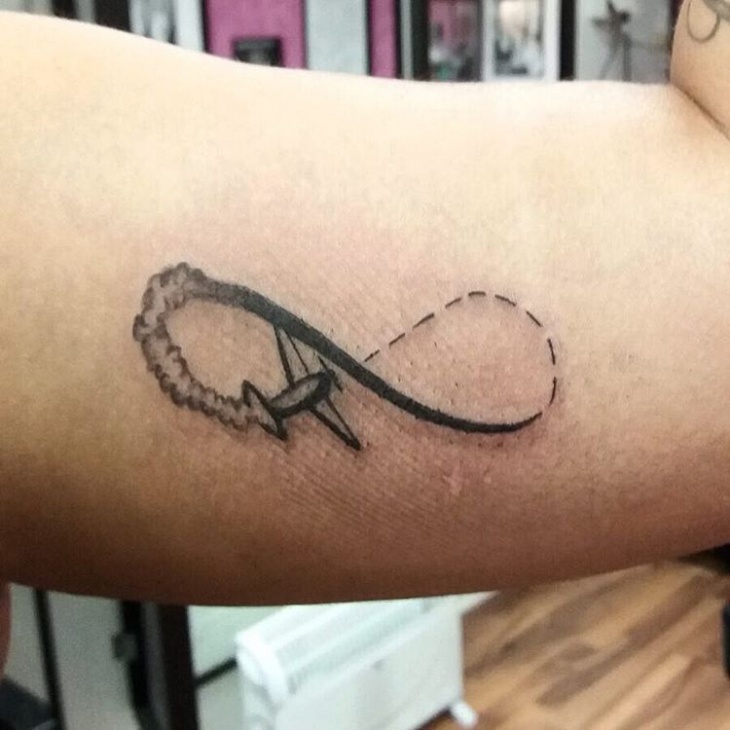 Embed the motif of an airplane inside the infinity symbol. This shows your abundance love for travel. You can as well get a motorcycle tattoo if you love to travel by road. This is an elegant tattoo that gives the feel of vector art or caricature. 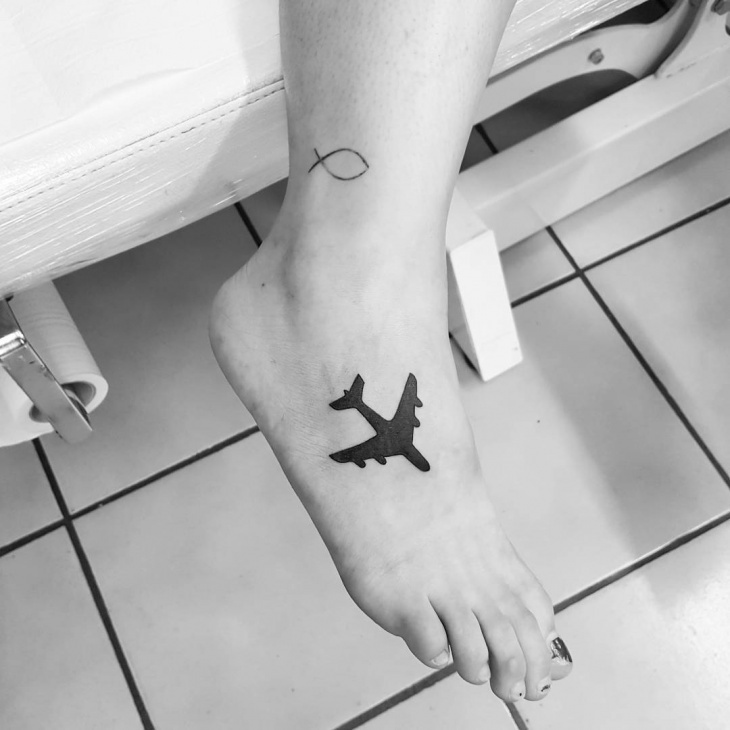 You can get the motif of the airplane with a black filling on the foot to literally signify you love traveling. 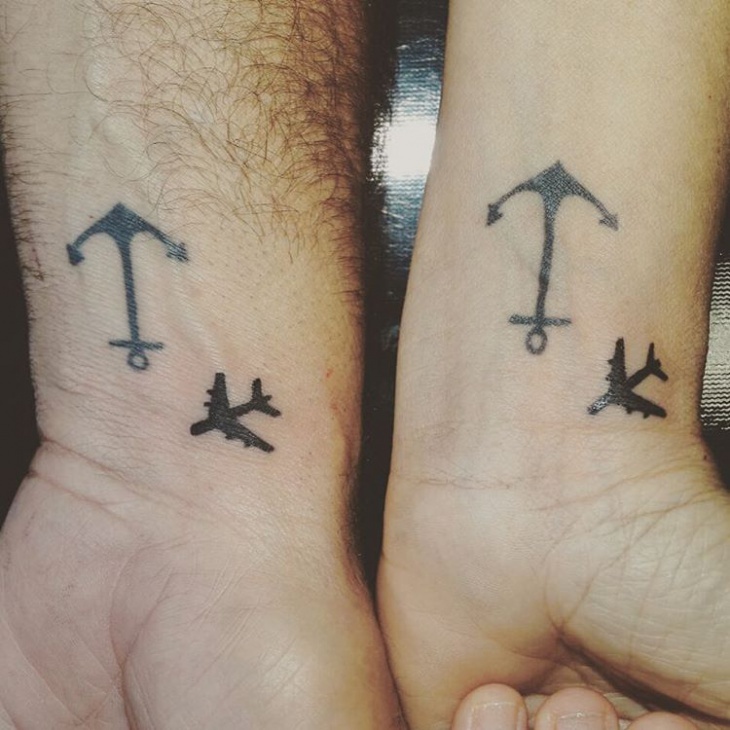 There is no age or gender bar to get this simple tattoo. 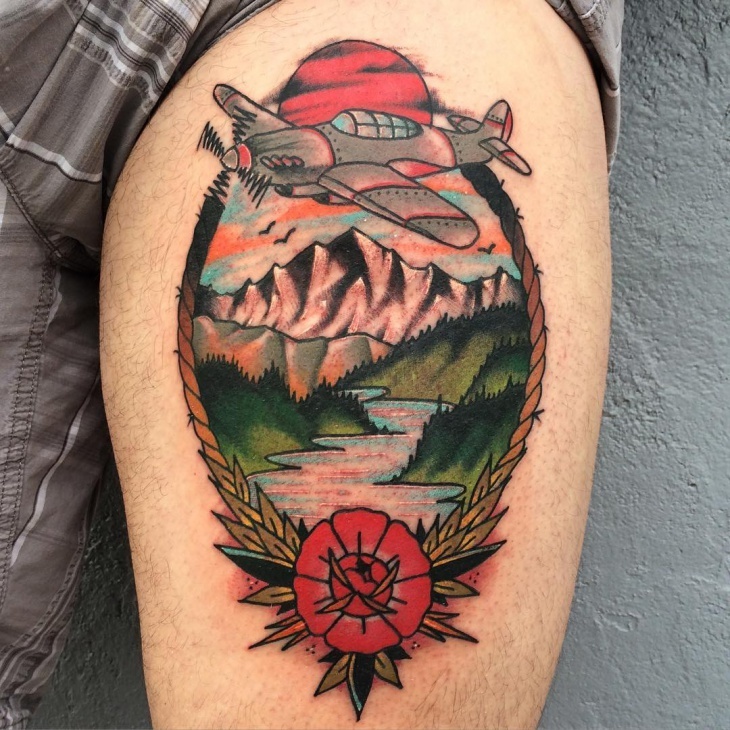 A colorful and a vibrant airplane tattoo on the leg are combined with colorful floral tattoos. This signifies happy traveling attitude. You can also get this symbol tattooed on arms or back. It is a cute motif to display and signifies positive things. 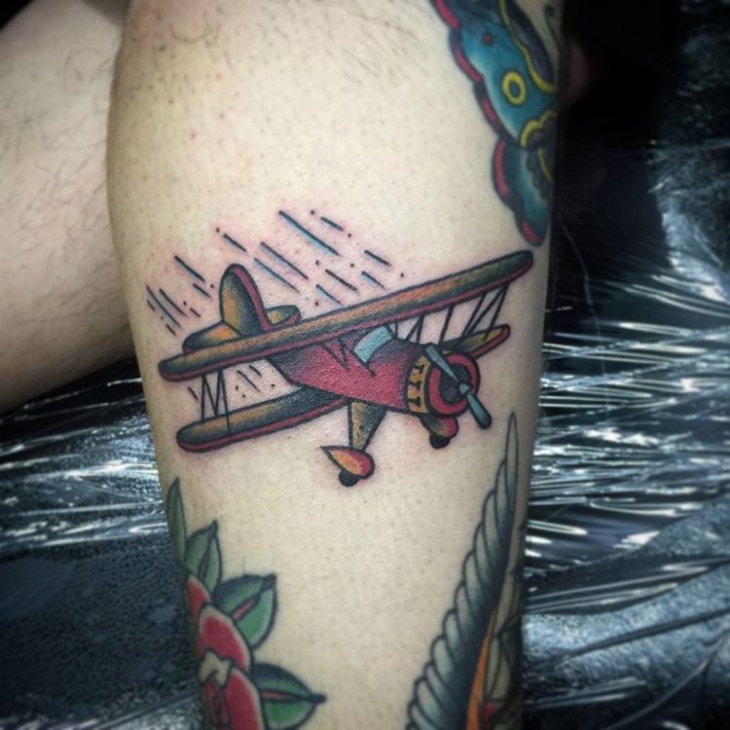 Get a tiny airplane tattoo on the feet, like it is depicted in this picture. 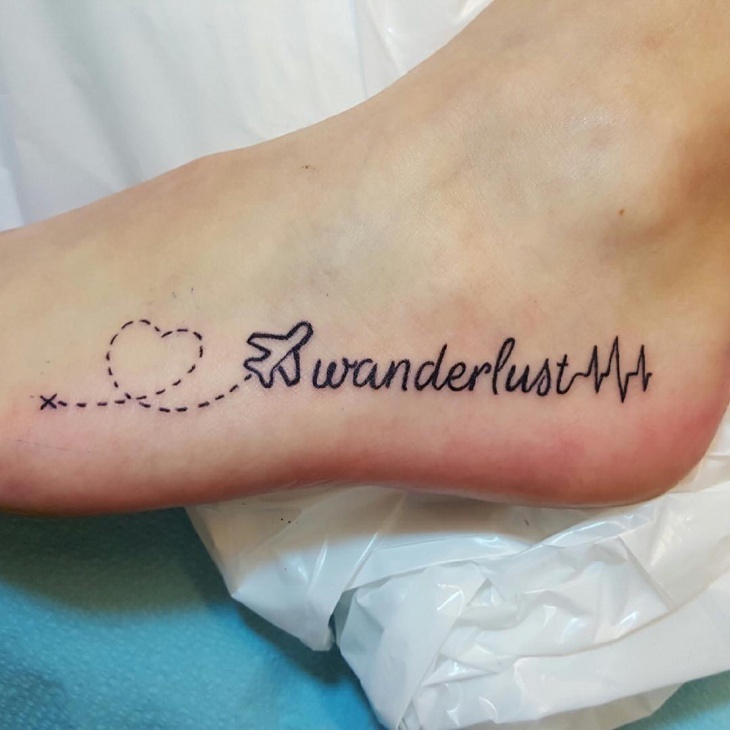 If you love to move your feet and are always on the go, this is the kind of ankle tattoo to go for. 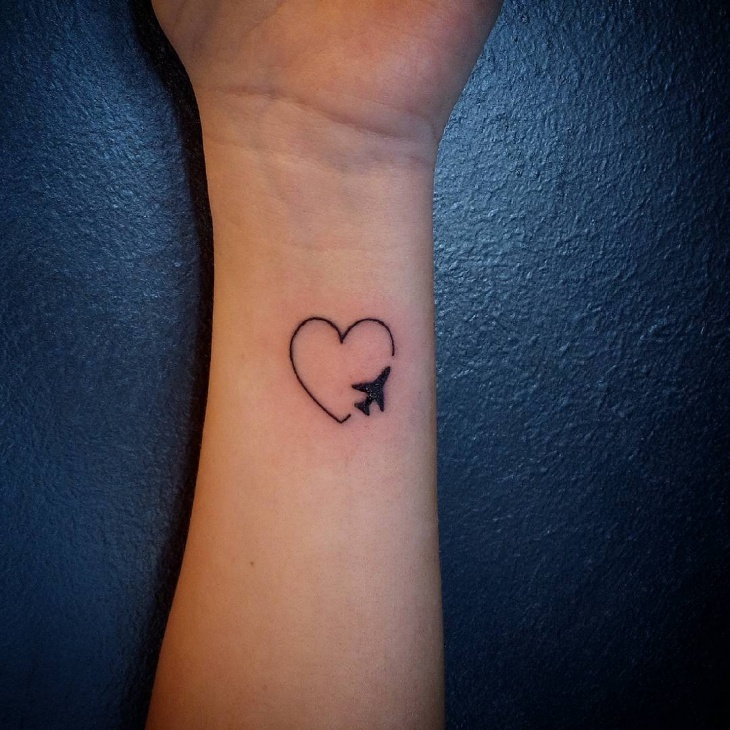 There are heart tattoos that are simple to start with. If you do not want to get an intricate or a complex design in tattoos, go for the heart symbol. They are sweet and look good on anyone. These are the kind of motifs that are deemed to be timeless. People of any age can get them done.